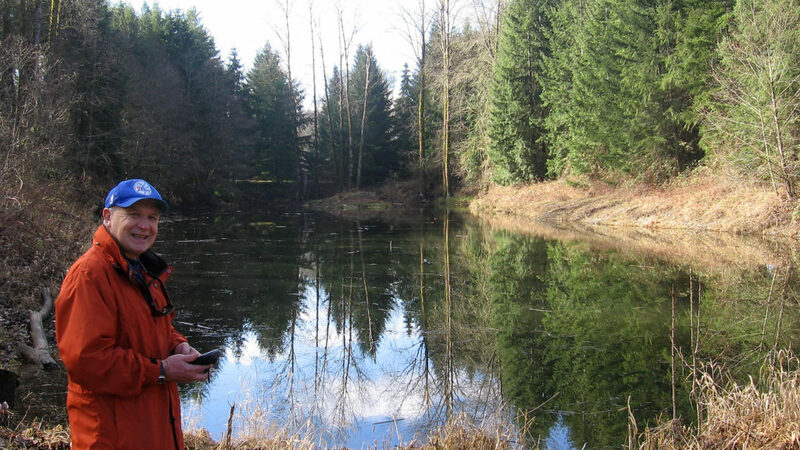 In the Cowlitz Watershed, Capitol Land Trust collaborates with the Cowlitz Tribe and other partners to conserve key places. The name Cowlitz originates from the local Salish languages, “tawallitch”, perhaps meaning, “capturing the medicine spirit”. The Cowlitz River is a tributary to the Columbia River and flows between the Cascades of eastern Lewis County and the cities of Kelso and Longview. Waters in the Cowlitz River come from the slopes of Mount Rainier, Mount Adams and Mount St. Helens. To date, Capitol Land Trust has conserved 17 acres in the Cowlitz watershed, including over 1,500 feet of Cowlitz River shoreline.